I don’t know if I told you before that part of my roots come from a little part of the jungle in Mexico. The place is called Xilitla and it is the heart of Las Pozas at San Luis Potosí. I never been there, but my family always tell me stories about that magical place. Now that I’m older and I’m into photography and fashion, I realise that this place still has some enigmatic atmosphere, and that’s why so many artist love to go there and make videos or photo shoots. The place has fantastic constructions built by the english poet and sculptor Edward James. He was kind of eccentric and he also was part of the Surrealism movement, so he could create some of the most fantastic sculpture in the world. 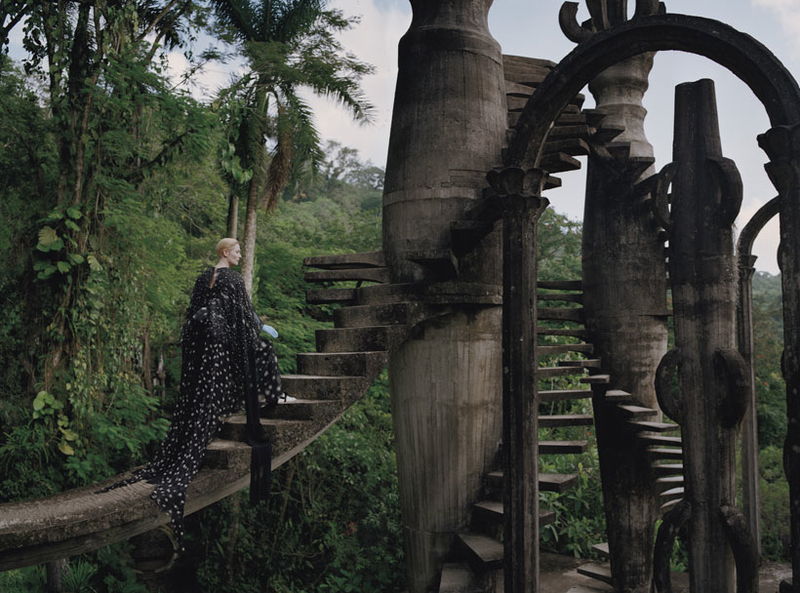 Hoping to embrace that liberated realm of the imagination and unconscious so familiar to James, the photographer Tim Walker and the actrees Tilda Swinton created a series of phantasmagorias inspired by other surreal artist such as Salvador Dalí, Remedios Varo and Leonora Carrington. Other example that I found is this video from Nicole Scherzinger where you can see the beauty of Xilitla and how crazy the sculptures look like in the middle of the jungle… This is where my family comes from and it’s kind of special to see that people from all over the world love that place as much as I do.